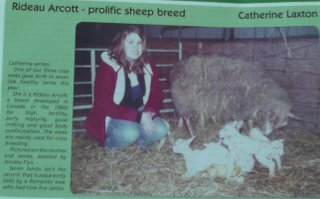 We ran 25 head out west cattle till April 2008, we now have small flock of sheep, home performance recorder and high health status. Running a small flock of 180 plus ewes, that include the following breeds. The Ile de France ram is crossed onto the Rideau ewe. This F1 breeding ewe has better conformation, and feed efficiency but still prolific, milky and out of season breeder, these F1 ewes then can breed to a terminal sire, ( we prefer the Texel exhibiting good loin length ) this also contributes to vigorous, hardness and fast growing lambs = excellent market lambs with good muscling of the loin and leg. Our pure Rideau flock is home recorded for high health status and production ( we aim at 3.8 live lamb to market ) once a year lambing and is a semi closed flock, they are turned out to grass in June. 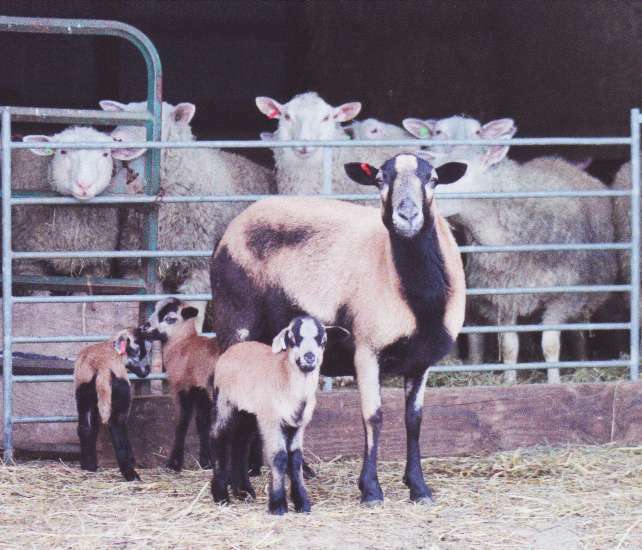 We have 3 separate barn areas and all lambs are tagged and recorded at birth . Rideau crossed with Il de France Ram for gimmer lamb sales. Five Barbadous black bellies hair sheep, just for fun. Suffolk crossed with Texel to produce SUFFEXELS, for the Terminal Ram market. 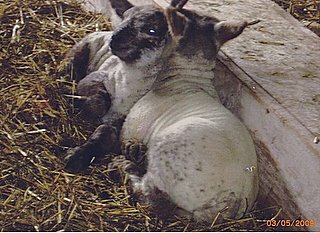 Here are twin Rams 14 days old. Black Bellies at the back. Cat, we want to congratulate you on sticking with this and for having the first registered Barbados Blackbelly sheep in Canada. I am sure you realise that your flock will be the foundation flock for the entire breed in Canada. We need to get the word out across Canada so that you can spread your flock’s genetics as wide as possible. If you have any ideas as to how the BBSAI can help you publicize the arrival of registered BB sheep in Canada, please let me know.